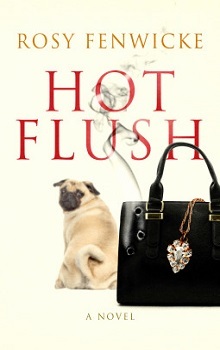 With a menopausal heroine in Euphemia Sage realizes that her receptionist was moonlighting as a loan shark, and her friend is behind on her payments, she’s certain that something must change, and she will be th one to make it. Two decades back, she had received a letter that predicted her developing super powers once she hit menopause, and now, surprise, surprise, that prediction has come to pass. So off she goes to find just what she is capable of, and all under the auspices of helping her friend Jane get out from under the ballooning loan payments. There must be something in the water in New Zealand, as both authors that I have read from there have a completely unique view of the world, with a decidedly offbeat sense of humor. With Euphemia being so totally wonderful and fantastic, she’s the woman you want to know – loyal, sensible and generous, with a spoilt and gregarious dog, she’s never one to underestimate. From one twist to the next, while there is no real mystery (Jane owes the money, Annie will collect) the real twists happen as Euphemia explores her newly acquired powers, successfully and unsuccessfully, but always with a sense of fun. Light, fun and quick to read, this story will grab you and entertain until suddenly it’s all over – and you look up. Perfect for putting a smile on your face this first in the series story promises plenty of fun to come.